As an apartment manager or business owner, you are responsible for the safety and well-being of others, whether they’re employees or tenants. Ensuring that the various aspects of the building are sound and in good condition helps keep your business running smoothly and regular ductwork cleaning and maintenance should be a part of your regular maintenance schedule. Air quality in the building is an important aspect of ensuring the health and well-being of the people in the building. Having poor air quality can result in people being sick more often and can result in a sharp decline in productivity. Many people believe that a lot of the pollution comes from the air ducts in the building, but the Environmental Protection Agency disagrees and states that there is very little evidence to support that duct cleaning will prevent health problems, since pollutants can enter a building from a wide variety of different sources and activities, such as cooking, cleaning and smoking. If your air ducts are relatively clean and problem-free, knowing when to schedule a ductwork cleaning session can be tricky. A good guideline is to consider the people who work or stay in the building. If they are healthy and don’t suffer from allergies and the ducts appear relatively clean on a visual inspects, chances are you don’t need to engage in serious ductwork cleaning. However, if you find that people are complaining about unusual symptoms that disappear if they’re away from the building, consider checking out the indoor air quality by following the guidelines set by the EPA. 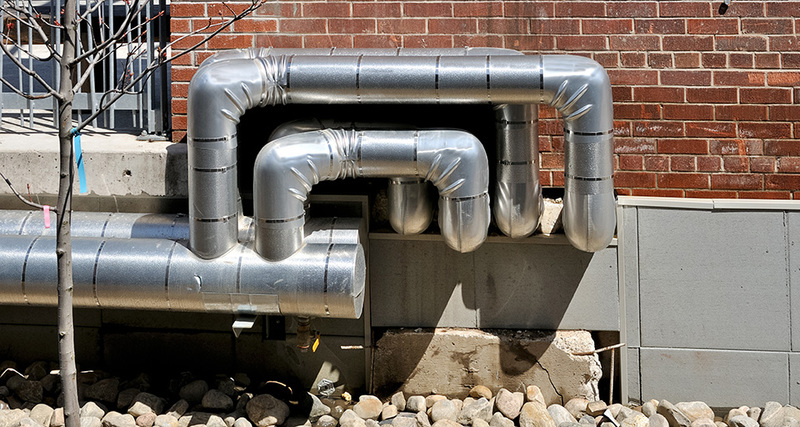 Prevention is better than cure and taking some preventative maintenance steps can go a long way to improving air quality in your building as well as minimizing duct contamination. Inspect and change your filters regularly. If you find they become clogged, increase the rate at which you change them. Ensure all air filters are in place and that air cannot go around them due to poor fitting. When maintaining your heating and cooling system, also clean the cooling coils and drain pans. If you’re doing construction work that generates plenty of dust, seal off your heating and cooling system and don’t use it until the dust is cleaned up. Vacuum the carpets in the building regularly using HEPA cleaners or the highest efficiency filter bags that you can find. Repair any water damage as quickly as possible to prevent moisture seeping into the duct work. Duct inspection and maintenance should be part of your regular building maintenance routine, but ductwork cleaning should only be undertaken when there is a serious issue that needs to be addressed.